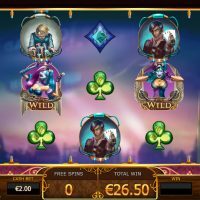 Fly high in the friendly sky with Cazino Zeppelin, the steam punk-themed slot game from Yggdrasil. Cazino Zeppelin refashions the tale of the German airship into a steampunk fantasy. The game shines with mesmerising Sticky Wilds, Free Spins, and vibrant Scatters. 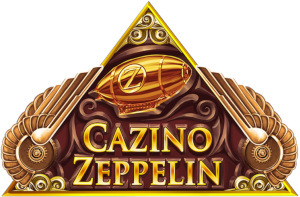 Cazino Zeppelin has 5 reels and 20 paylines with the chance to win up to 40,000 coins per spin! The Scatters in this game take the forms of multiple characters (see Gameplay below for a full overview). 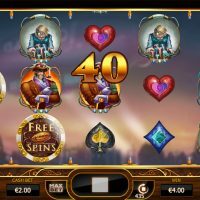 To trigger the Free Spin bonus game, land 3 or more Free Spin symbols anywhere on the reels. 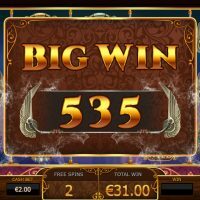 Cazino Zeppelin has just the one bonus game which gives you free spins depending on how many Free Spins symbols you have on screen. You also get 40 coins for each. The Scatters are all gamblers with their own quirks. One is throwing dice, one holds four aces, one has a stack of chips, and the last one is a pipe-smoker with a wad of cash. The remaining symbols are made up of spades, hearts, diamonds and clubs. 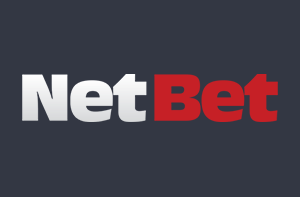 Bet anything from 0.01 to 0.50 and use the “Autoplay” option up from 10x to unlimited (or when your money runs out). The Wild symbol is a blue-haired girl in white face paint. If she appears during the activation of the Free Spins bonus round, she becomes a Sticky Wild and stays until the end of the round. In the regular Wild form, she can substitute for others. She also gives you 5 extra free spins for every appearance on the reels. The house edge floats in at 4% which isn’t too bad. I love Cazino Zeppelin. It’s like no slot game I’ve ever played before. I find a lot of popular slots to be a little cramped with features and animations but this one spaces everything out. That gives more detail to each symbol on offer and you take everything in easier. A better visual experience means you’re more likely to continue spinning. Then there’s the whole steampunk/zeppelin theme. Genius! Zeppelins obviously have a bad rep but this game doesn’t at all. 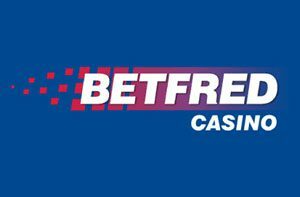 There isn’t a progressive jackpot here and only 20 paylines means you won’t win huge amounts compared to the likes of Millionaire Genie for example. But this playing Cazino Zeppelin is such an enjoyable experience, it won’t feel so bad.